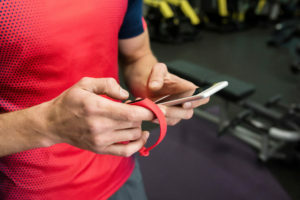 Wearable fitness trackers have promised to get people moving, active, engaged, and connected. One company thinks they can even help people save for retirement. Bank of America received a patent for a system that, among other things, would create a personalized retirement score that could be updated with data from a customer’s fitness tracker. “Even so, an individual’s lifespan is influenced by many factors other than fitness, Diane Oakley, executive director of the National Institute on Retirement Security in Washington, told Bloomberg Law. Genetics, alcohol consumption, and even driving habits can play a role in how long a person lives, Oakley said. A retirement calculator that overemphasizes fitness level without taking these other factors into account might not get the full picture.